Lee Carroll, the "magnetic master," channels information for personal peace from the entity known as Kryon. 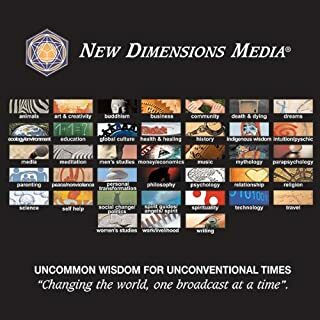 In this audio program, Carroll shares these messages, explaining that when our planet reaches a time of dimensional shift and change, we must remember that the universe (which we know as God) never abandons us. 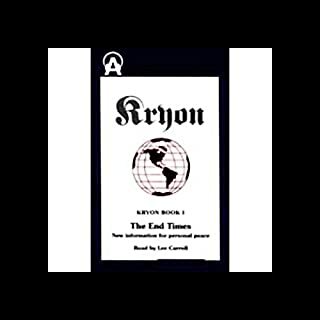 Another important message of the Kryon: "Love is the most powerful force in the entire universe. It is the glue that will bond our belief together." Wish everyone read or listened to this book! 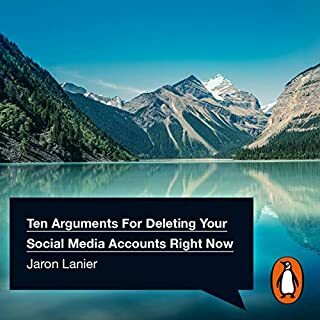 In Ten Arguments For Deleting Your Social Media Accounts Right Now, Jaron Lanier draws on his insider's expertise to explain precisely how social media works - by deploying constant surveillance and subconscious manipulation of its users - and why its cruel and dangerous effects are at the heart of its current business model and design. As well as offering 10 simple arguments for liberating yourself from its addictive hold, his witty and urgent manifesto outlines a vision for an alternative that provides all the benefits of social media without the harm. Learn how working with power, rank, revenge, and abuse helps build sustainable communities from author and the founder of Processwork Arthur Mindell. 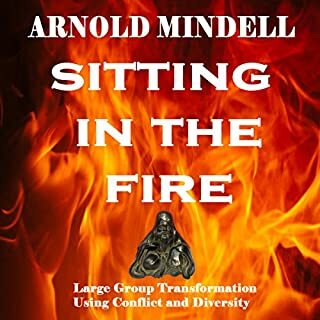 Mindell has appeared on radio and television around the world and works internationally with highly conflicted groups including government and multi-racial situations. By the author of The Science Delusion, a detailed account of how science can authenticate spirituality. The effects of spiritual practices are now being investigated scientifically as never before, and many studies have shown that religious and spiritual practices generally make people happier and healthier. 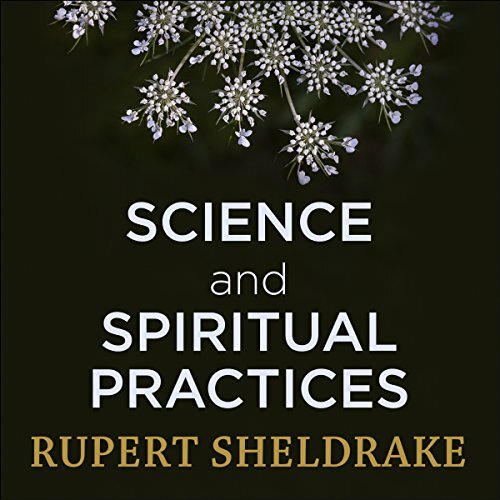 Rupert Sheldrake summarises the latest scientific research on what happens when we take part in these practices and suggests ways that listeners can explore these fields for themselves. For those who are religious, Science and Spiritual Practices will illuminate the evolutionary origins of their own traditions and give a new appreciation of their power. For the nonreligious, this book will show how the core practices of spirituality are accessible to all, even if they do not subscribe to a religious belief system. This is a book for anyone who suspects that in the drive towards radical secularism, something valuable has been left behind. Rupert Sheldrake believes that by opening ourselves to the spiritual dimension, we may find the strength to live more wholesome and fulfilling lives. I was pleasantly surprised by this book. He talked a lot about nature, trees, and their spiritual significance which appeals to me. For someone who bought this book see what the 'other' side of the debate talked about, I was quiet impressed. 5 stars. Covering interesting historical, scientific and philosophical matters, this is a very useful book for believers and non. You don't have to accept everything said to obtain great value. 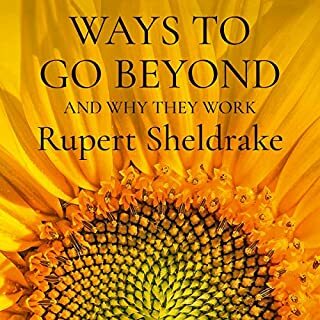 I appreciated Rupert’s experience and insights into meaning and the spiritual path as well as his considered critique of the mechanistic scientific mind that dominates contemporary society. He is easy to listen to speaks clearly and concisely to make even complex ideas very accessible. I would love to spend some time chatting with him - perhaps on a walk to one of those sacred places he mentions in the book. An enjoyable and thought provoking read! This is a wonderful uplifting book beautifully read by the author. A must read for anyone seeking to make sense of spirituality and our religious legacy in a secular age. Love book. Completely enthrallingly wonderful. The writing and reading of it is fully engaging and spectacularly contemplational. Wanted the book to read on forever. Most likely and inevitably I believe it will. So thankful for the moments listening together with my children even. Brought forward excellent spiritual and otherwise discussions together. Starts a bit slow but last half pretty good! 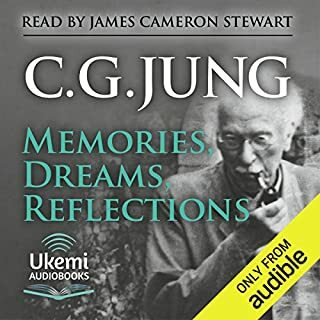 I'll preface this review by saying that I've listened to many other similar audio books, summer being written by Rupert sheldrake himself. 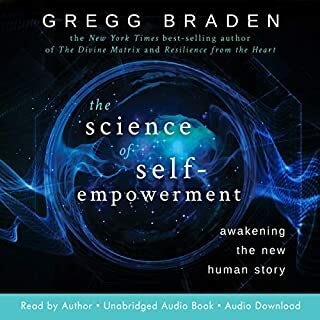 initially I wasn't too impressed with this audiobook, it started out quite slow for the first 3 or so hours. I was quite excited when I first got it, so this initial three hours was a little disappointing for me. Mostly as it seems eems to cover a very basic aspect of the subject matter, and much of the information had been previously covered by Rupert in earlier books. the tail end of this book made up for the initial disappointment. I quite enjoy the last 3 hours, and it was quite inclusive in terms of the information it covered. 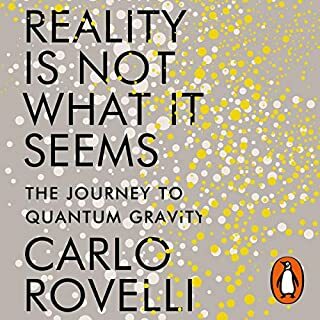 I would recommend someone start with this book, then move over to Rupert's other books, as they seem to be a bit more detailed and intricate in terms of their exploration of the subject matters. This book seems to be a general overarching Viewpoint, and it was quite simplistic in my opinion. I was disappointed in this one. When I saw the title and description several weeks ago I got very excited and waited for it to become available but I feel like the title of this book is misleading. 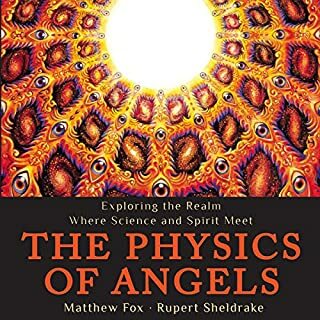 The title of this book is 'Science and Spiritual Practices: Transformative experiences and their effects on our bodies, brains and health' but the majority of the information in this book seems to be a history of different spiritual practices or the author's own experiences and opinions of those practices. A few sections fulfilled my expectations: The sections on Meditation and on Singing and Chanting mentions studies that I found really interesting and were great. Other parts of the book seem more spiritual than scientific. This would be fine if I weren't going into this book with an expectation based on the title. 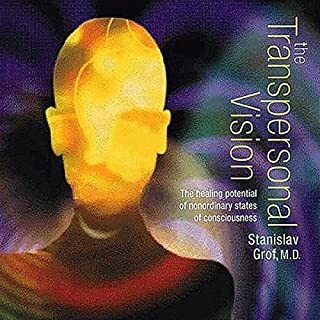 If this were instead advertised as the author's own belief on fulfilling spiritual practices and his application of his term 'morphic resonance' (I'll talk about that later) - then I would have listened to those sections with a different frame of mind. 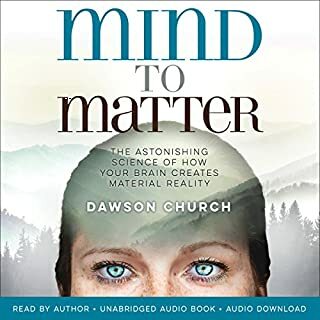 Midway through the book I found myself listening to a section about if the Sun had consciousness or if atoms and smaller life forms had consciousness. Again, this would be fine if I were reading a book advertised as Spiritualism or Neo-Spiritualism but that's not what I came here for- what does the question of 'does the sun have consciousness?' have to do with spiritual practices and their shown effect on health? During the chapter on nature I found myself in an entire section where the author proposes (in great length) that orchard owners could rent out parts of their land for the use of families so those families can have access to the type of natural spots he had as a child. Again, cool thought, but what does that very detailed proposition have to do with the benefits of being in nature? It seems like the author gets off topic at times and then doesn't give enough information about the topic that was promised. In the beginning of the book the author tells you his personal history in both the scientific and spiritual fields. (It was a good intro- my only ‘huh?’ moment being when he mentions telekinesis between people and between animals) Rupert Sheldrake talks about his past research into plants and introduces his idea of, what he terms, 'Morphic Resonance' which is the idea that plants can inherit memories from their predecessors and that this is how they know to act with certain similar habits or patterns. That's fine, I was intrigued. He brings it up later though- this time in reference to not just plants but also animals and humans. He compares this idea to spiritual rituals done across cultures and that these rituals do something similar- they create a resonance between the person consciously participating in the ritual to those who have done that ritual in the past. Now, before you think I'm being harsh just because I'm a nonbeliever: I consider myself pagan and a part of the whole neo-pagan movement so I'm used to hearing these kinds of ideas. Again, if this were a different type of book I'd be all over this kind of stuff. But Morphic Resonance really is a pseudoscience- even when he first talked about it I was thinking 'Ok, I bet you had a really hard time introducing this to your friends in the science community' because there's really no way to prove his theory. I find it problematic to introduce these ideas in a book that advertises itself as a hard science look at spiritual practices. 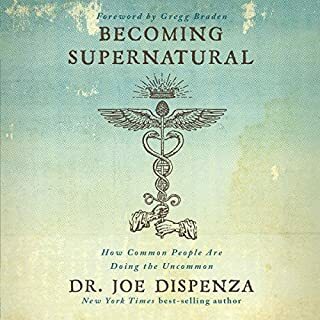 I just want to give a fair warning to people who may be considering this book: There's some interesting information here but this book is really about spiritual practices for the spiritual community rather than a scientific look at spiritual practices. I will not go into detail..
understanding living systems and their inherent essence. Sheldrake is brilliant. I could listen to this all day, again. end the hate, meditate. 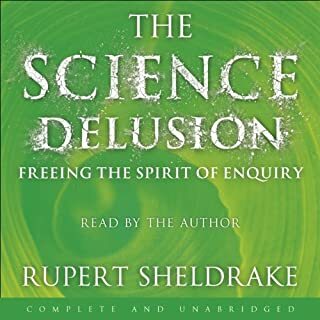 Coming from an atheist background, I was very impress with Sheldrake's previous book, Science Delusion, as it made me aware of the preconceptions and biases I thought I was free of. 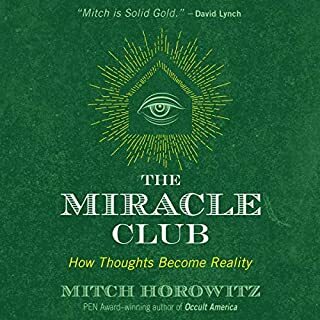 This book has helped me to further understand the value some key religious practices can have in the lives if those around me and my own life. This is one of the few books to have such a profound effect on my thunking about the world. Thank you. 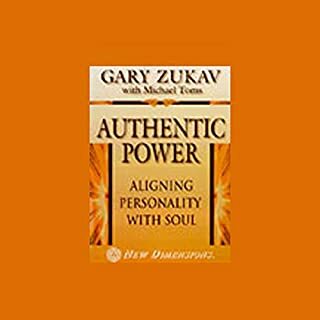 I was captivated by this book; it is a mine of fascinating information about spirituality. i have now purchased the kindle edition so i can study the text in more detail. i also liked the peaceful and measured manner in which the book was read. if you are interested in people and spirituality then you will find this book very thought provoking and fascinating. Presented beautifully and read by the author. Straddles science and spirituality with some lovely insights from Rupert's own extensive career. Read it under a tree! Sheldrake reads with a soporifically rhythmic drone. His arguments are superficial and easily disputable. Though, he does score at least three good insights: first, Contra Peterson, he points out that dragon myths regularly involve the voluntary surrender of an innocent, for the sake of the group; second, spiritual practice, while often demonstrating positive health effects, tend to do so more profoundly in actual believers rather than secular practitioners; third, that panpsychists may have the easiest of all the hypotheses to prove, in postulating a property common to all matter, rather than the alternative of dualism or the materialist denial of consciousness altogether. Probably, his previous book would provide better arguments on all three counts than this one, if you're a critical reader. The author undoubtedly has lots of interesting things to say and many fresh and stimulating ideas . 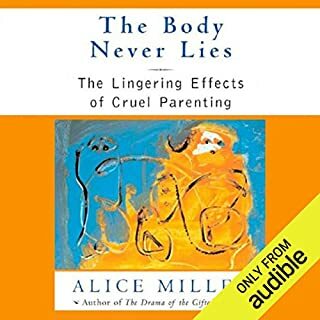 Unfortunately however , this audiobook is probably not the best place to hear them . The book starts quite well , including details of the scientifically proven effects of meditation etc but it is ultimately incoherent , most exampled by an utterly torturous section on pilgrimage , that seems more of a history lesson than anything else . Out of respect for the author , I have not returned it . Otherwise, i probably would have done . On the whole , all rather disappointing . What I expected to be. Was awesome and it is always a pleasure to listen a book from the voice of it author. It should exist more books about these themes, with respected people focusing on fringe subjects. Anthony Peake, Daniel Quinn, Terrence McKenna, Joseph Atwill, Noam Chomsky or Robert Waggoner are good examples on completely different fields. Good but a little short. 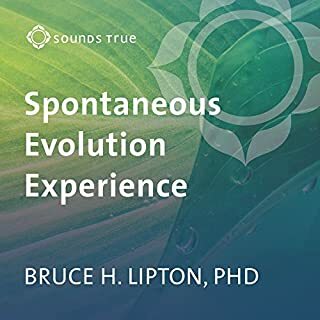 Will listen to this again, refreshing to hear a different world view from a more holistic view point, and the more robust view that we understand very little about this Universe, a good place to start learning!